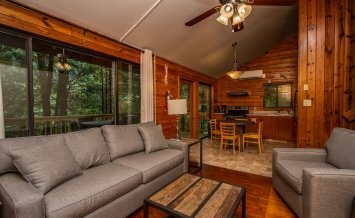 Nestled high in the North Carolina mountains overlooking the Nantahala Gorge and the Nantahala River, Elm is NOC's most private cabin. 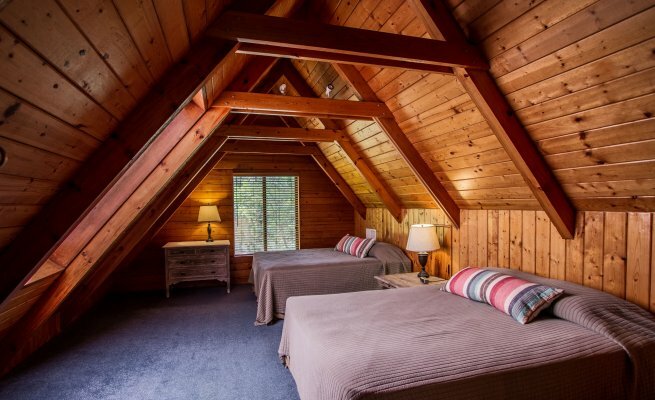 This two-story Smoky Mountain cabin rental offers a 2-bedroom/1-bathroom configuration with 4 queen size beds and a sleeper sofa. 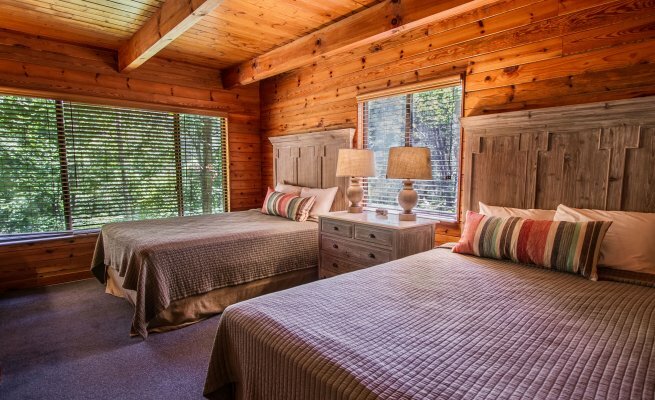 Amenities include flat-screen HD satellite TV, large exterior deck with dining area, charcoal grill, heating & air conditioning and fully-equipped kitchen. 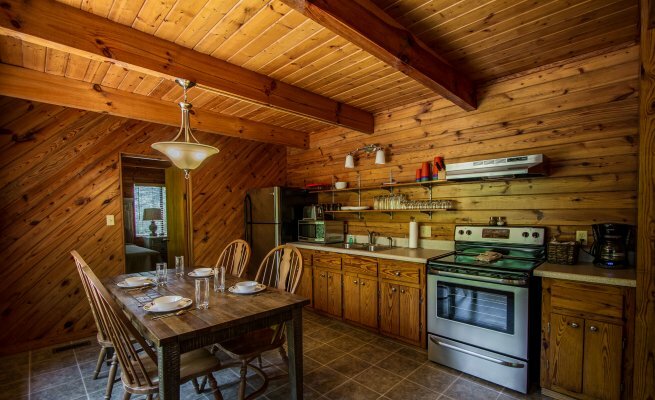 Elm is an ideal single-family cabin for adventurous families looking for immediate access to outdoor adventures and on-site lodging at Nantahala Outdoor Center. Despite its secluded location, Elm offers walkable access to NOC’s activities and restaurants, and close proximity to NOC’s Flint Ridge trail for mountain biking, running and hiking. Cookware and linens are included. From East Atlanta: Take I-85 North to I-985 North. At Gainesville, take 365 North to 441 North. Just past Dillsboro, NC, 441 merges with US 74. 8 miles past Bryson City, the 4-lane splits into two, 2-lane roads. Stay on 74, the left lane. Continue 5-miles and arrive at the NOC Nantahala Outpost.